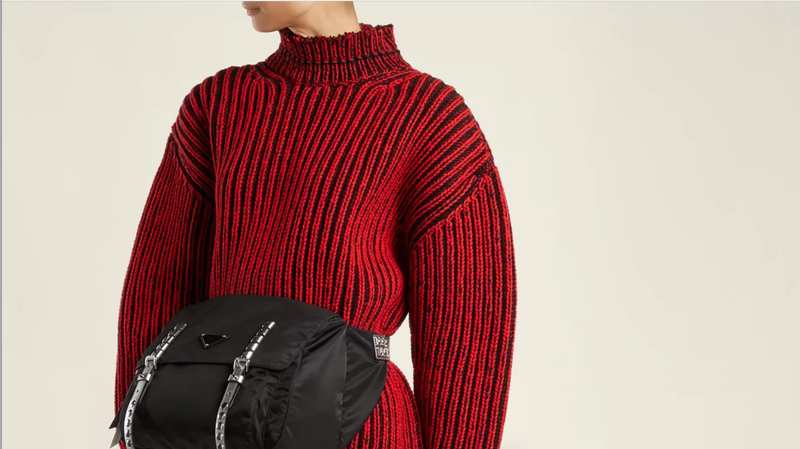 Would You Wear a $1,550 Fanny Pack the Size of a Child's Knapsack? Summer is almost officially here. As you peruse various retail outlets for your ideal summer look, I beg you to consider this outsized fanny pack that is basically a child’s backpack—a thrilling look for a fashion kangaroo or the woman on the go. What’s in the bag, girl? Is it a bunch of grapes, a biology textbook, a wallet, your portable cell phone charger, and a leg of lamb? Do you need a light cardigan, and all seven volumes of Proust’s In Search of Lost Time on your person at every moment? Do you need the bag to fit all the things, so that your hands might be free for throwing pots, braiding your hair, or dancing as if no one’s watching?